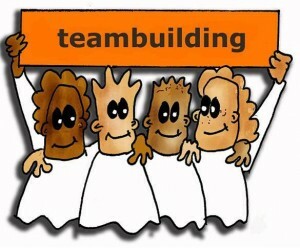 Read more about cooperative learning here and here. There are plenty of benefits of using cooperative learning at workplace. As a rule cooperative learning makes learners be better organized, it improves discipline, behavior and attendance. It also influences comprehension, mutual understanding, social and educational orientation of the students, and usually cooperative learning is effective for advancing in thinking and creative activity. It is incredibly helpful for developing positive climate in the workrooms, and also cooperative learning is a very important instrument to improve ethnic and racial relations between the workers of the same group. Finally, strategy of cooperative learning is relatively easy to be implemented and does not require expenses. But there are also some negative and controversial points related with putting into action of cooperative learning concept in business organizations. First of all, teachers are facing big problems with motivation and will of learners to work together. It can be especially effective for the kind of learning groups which have too different students, with very few common interests and viewpoints to share. Besides, many adult people may not recognize own responsibility and importance of teamwork, they may simply deny it thinking that they are good enough to study on their own, without help and support of their fellow workers. Strategy of cooperative learning can be more effective for the managers of higher levels, but there also some obstacles. Many such employees are unsocial and have problems with opening their minds to collaboration and teamwork. Many high level managers are afraid of failures and losing their social position on front of other managers, so they may resist cooperative learning and try to work individually. Some high level learners do not like to be dependent on other teammates, especially if there are differences in level of academic achievements between them. Finally, teachers and instructors may not be enough prepared and experienced for successful implementation of cooperative learning strategy, they may not be able to control group tendencies and behavior. That is why it is essential for effective use of cooperative learning concept in business organization and at workplace, first of all, to have qualified and experienced teaching personnel, who will manage to do their job excellent and with maximum efforts, to carry out the program successfully, to control teams’ interaction and behavior and keep it on proper level. Students must understand the benefits of collaborative education and accept this strategy as very effective and useful for their academic achievements and advancement. 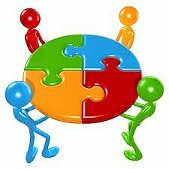 Moreover, cooperative learning can be successfully used at any academic level: from elementary school to colleges, universities and business organizations. There are some examples of particular cooperative learning programs, which were developed and launched by teaching specialists of the USA. Team Accelerated Instruction (TAI) in Mathematic is a strategy for primary school children, which applies cooperative learning for improving knowledge in math and algebra. Cooperative Integrated Reading and Composition is a concept, directed on developing of reading and writing skills of young students; it integrates the newest results of practical researches on the filed of cooperative learning. There are a lot of cooperative learning programs, which were created for students of higher educational levels. One of the most known and popular is Roundtable, when a group of students discusses the problem together and everybody expresses the ideas or opinions in turn. The other method is Brainstorm, when a team combines the ideas of every member in order to come out with a new advanced solution. Such techniques as Focused Listening and Structured Problem Solving are the modifications of Brainstorm: they also mean generating all the ideas into one final outcome. There are a number of other concepts of cooperative learning, like Group Roles, Collaborative Annotations, Team Expectations, Value Line, Double Entry Journal, Send-A-Problem, etc, which are being used in schools and universities of the USA. Cooperative learning is a brilliant opportunity for students of any academic level to improve some essential social life-skills and to develop the ability to work collaboratively. Numerous benefits and positive effects, which collaborative teamwork provides on the majority of important outcomes, make cooperative learning one of the most effective and valuable instruments of modern educational process. For learning more on cooperative learning, go to here. As it was mentioned before, there are five important components which should be taken into account when creating a specific cooperative learning strategy and making it work effectively for one or another group of employees, students, and other group of people. These five elements were researched and determined by a group of scientists and formed a theory known as the approach of Johnson, Johnson & Holubec, published in 1993. Firstly, all the education group members must be positively interdependent and ready to cooperate in the learning process. Every assignment for a group must be structured and shared between the students of one group in such a way, that everybody’s contribution must be essential and indispensable for the success of the whole group. Every group member has to understand that efforts of every each team member are required to succeed, and in case of anyone’s failure the entire work will be ruined. The second characteristic is known as structured accountability. It is necessary for teachers to establish and control two levels of accountability in every team: individual and group responsibility. Every student has to recognize personal responsibility: both for their own share in the education process and contribution into the assignment, as well as for final achievement of the whole team. If the teachers monitor such understanding and personal perception of accountability among the teammates, then the team will definitely collaborate effectively and achieve success. The third essential element is effective communication and interaction between members of the same group. It is exceptionally important to work together, to share information and discuss the ideas face-to-face. Personal communication of the best way to learn, to support, to assist and to encourage, so the team must have frequent meetings, discussions, or other interpersonal activities, which will display personal development and ensure individual commitment of the team members to each other. The next characteristic is following and obeying some social and behavioral rules acceptable for this particular group of learners. Every student of the team has to understand his or her own role and place in the group, develop own communicative and cooperative skills, learn how to participate in decision-making and conflict management, how to listen to the teammates, to support or to criticize their ideas, how to make the teamwork the most effective, useful and pleasant. Proper social behavior is one of the essential factors for cooperative learning group to be successful and help the members to develop. And, finally, the last characteristic is group processing. It is very important to discuss and analyze the development of the group and the strategies it has been following to achieve the goals. There must be special meetings, at which every team member has to express own opinion about what activities of the whole group were helpful and unhelpful for him or her personally, whose contribution of the group members was the most valuable, what are the ways to increase the productivity and output of the whole group and how to achieve better results. This is another key element of cooperative learning. There are many supporters and opponents of cooperative learning strategy among the theorists and practicing teaching personnel. Undoubtedly, the advantages of using this strategy in schools and universities are considerable. The majority of them were already mentioned above in this work: cooperative learning helps to develop and improve social, communicative and collaborative abilities of the students, promote academic and learning achievements and make process of studying more interesting and pleasant. It helps team members to recognize own abilities in fighting for leadership in the group, or to observe own reaction in conditions of competition. The described tactics and approaches of cooperative learning favor to motivation and stimulation of the employees’ or the students’ activity in studying and developing new skills. Besides, it helps to develop and advance different individual qualities of every group member, including such important ones as self-esteem, responsibility, attention, self-realization, patience, tolerance, ability to support, to assist, to listen, to cooperate, and many others.